View your project by visiting the URL or by navigating to ProjectHuddle > Websites and then clicking "View" for the project you'd like to see. Once on the front end of the site you will see the ProjectHuddle Add/View Comment Menu in the bottom right corner. You can move this ProjectHuddle Menu by dragging it, so if it's in the way you can momentarily move it. To add a comment you must first click the blue + sign on the ProjectHuddle Menu to enable commenting. Once commenting is enabled, click anywhere to begin typing your comment and then click Add Comment when finished. The recently added comment will now appear on the ProjectHuddle popout menu, so that other's can find and view it. When you click the comment from this popout menu list it will take you directly to that comment. 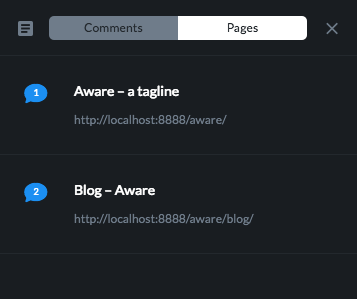 The popout menu makes it easier to find comments once there are several comment threads throughout the site. Another way to find comments from the popout menu is to navigate to the page. 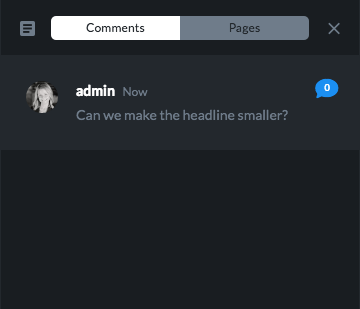 The page tab of the popout menu will show how many comments appear on that page. Clicking the link will take you to the page. From the backend you can also view comment replies, visit the comment location on the front end of the website, or expand the comment for more options and details. The number on the little speech bubble indicts how many replies or additional comments appear on the thread. Click the speech bubble to view them or add your own reply. The location icon takes you to the front end of the site directly to the comment. 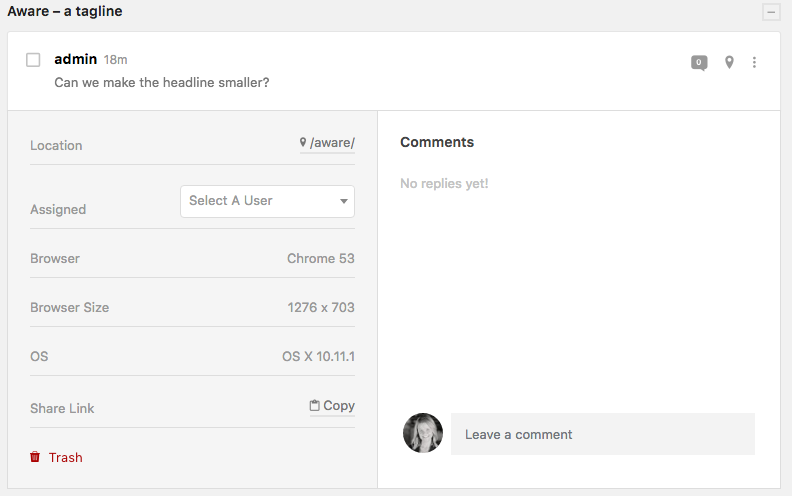 The three vertical dots to expand the "Details & Replies" of the comment. 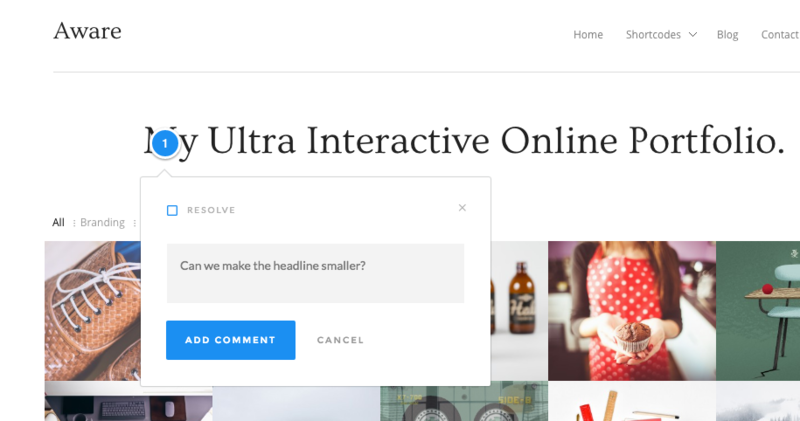 Once this option is expanded you can assign a WordPress user the comment. View which browser the comment was made in and what size the browser was at the time, as well as the operating system and a shareable link. From this comment backend you can also reply to the original or any other comments in the thread. If you wish, you can also trash the comment.